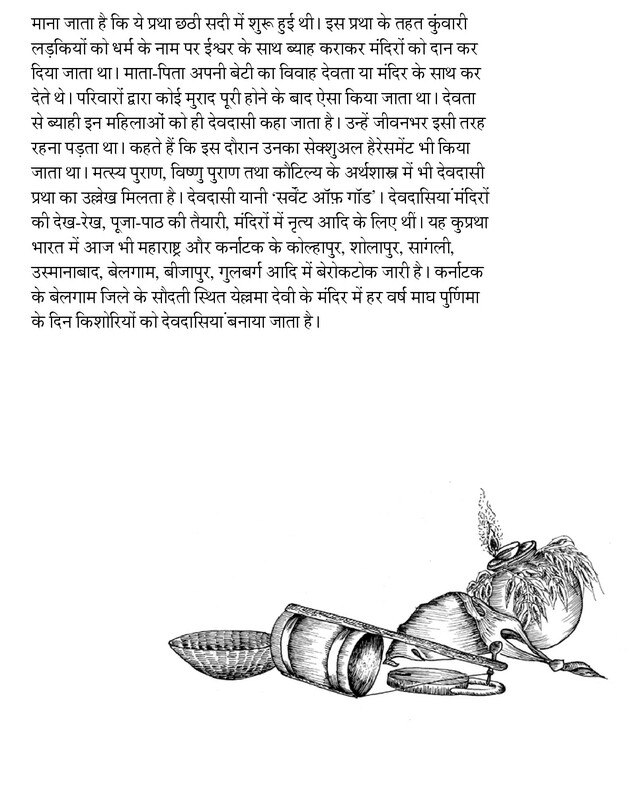 Below is an excerpt from First Hand Volume 2: Graphic Narratives from India, edited by Vidyun Sabhaney. This particular extract is from Bhagwati Prasad's "Devadasi: Ek Pechaan" which is based on the report on Devadasis published in the India Exclusion Report 2015. Both the books have been published by Yoda Press and have been published here with permission from the publisher and editor. 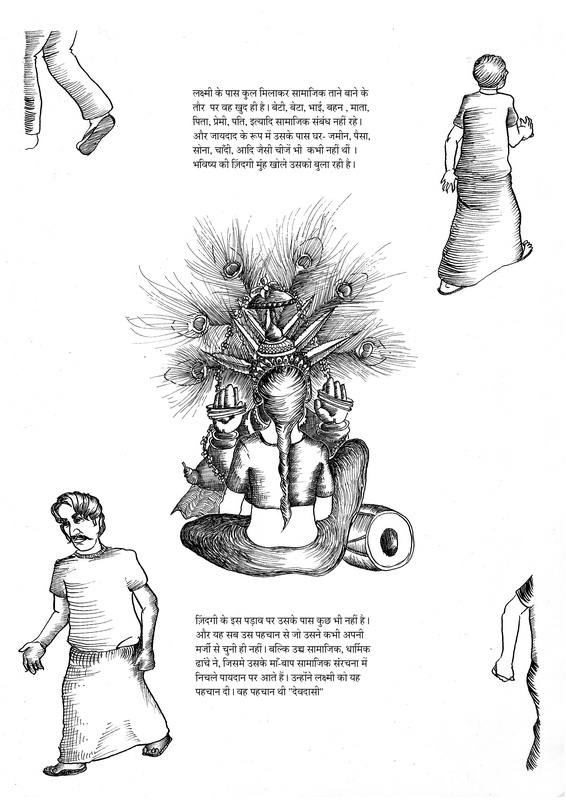 Bhagwati Prasad is an artist working in performance, sculpture, video, graphics and research. He is the author of the graphic book, 'The Water Cookbook' (2010). 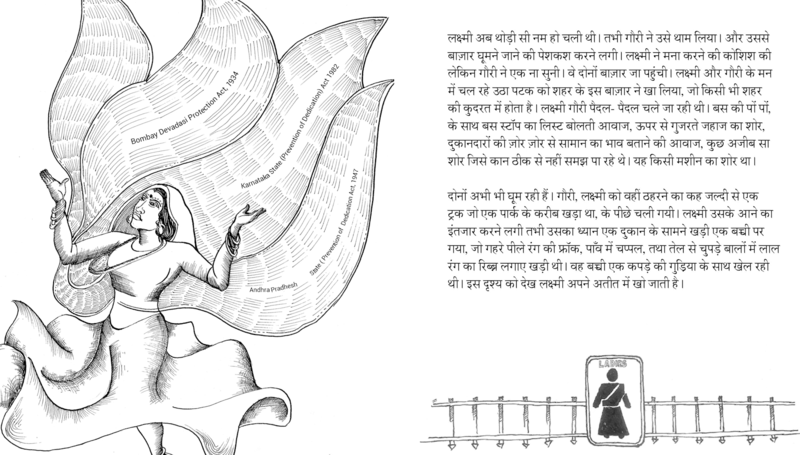 He started researching popular culture and media life and histories in Delhi, which resulteed in him co-authoring 'Tinker.Solder.Tap' (2009), a graphic novel on the history of media piracy in Delhi. HIs current project is titled Auzaron ki Chuppi aur Kolahal.